Bring an Offer. 4 bedroom home on corner lot. 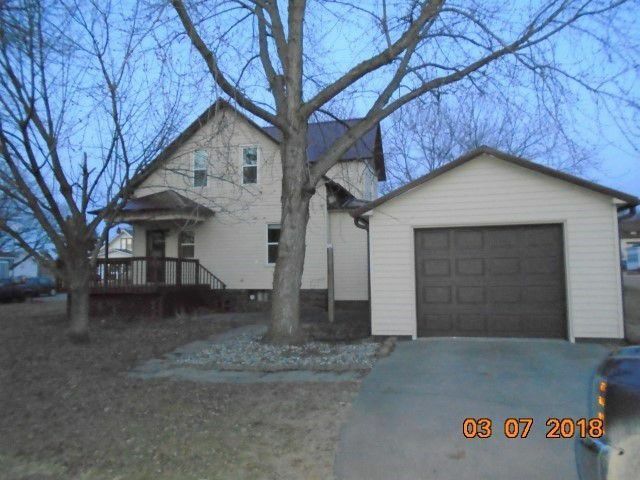 Mature trees, Aluminum siding, newer windows, newer metal roof, newer furnace, water heater and central air. All appliances and washer and dryer included. Main floor family room, office w/1/2 bath, living room, formal dining plus a breakfast bar. Large kitchen with plenty of counter space. Deck off kitchen. Patio off deck in rear. Large mud room off garage. 3 to 4 bedrooms upstairs. Large home with the major updates done in roof, siding and mechanicals done.